Here is a spacious move-in-and-enjoy solution with all of the incredible potential and future upside you could ever possibly want! 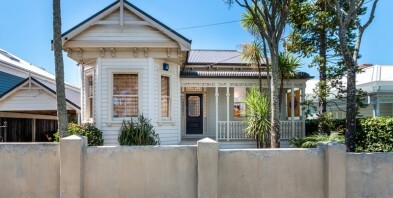 Number 46 Ardmore Road is simply a wonderful character home in a sought after niche location. The property is perfectly positioned with turn-of-the-century street appeal plus sun, privacy, easy parking and that all important level indoor, outdoor connection. Sitting on a very generous 493m2 site, this commanding home offers location, sensible flow and a brilliant back lawn setting. This is one of those residences you absolutely must inspect at your earliest opportunity. Comfortable and well presented today, but offering enormous scope to 'do it your way' and add serious value in the future. The lifestyle and location are second to none, with cafes, schooling, parks and so much more, all at your fingertips. Do not let this incredibly rare opportunity pass you by!